Pride and Prejudice and Zombies continues to lurch toward theaters in fits and starts. 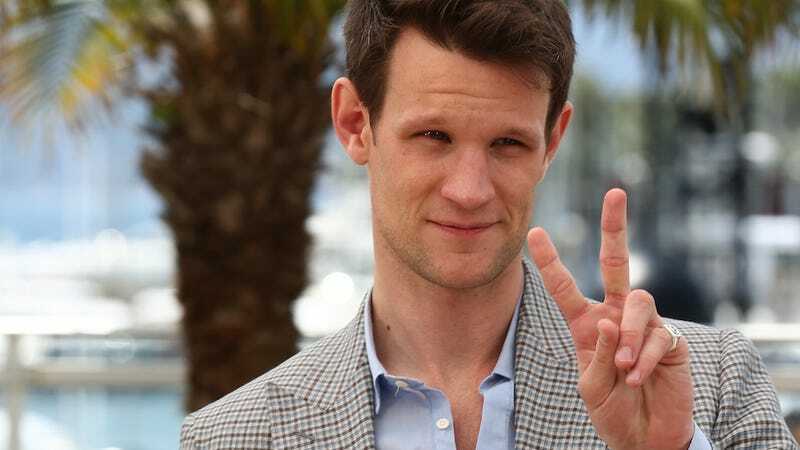 Supposedly filming starts September 24—and erstwhile Doctor Matt Smith just joined the cast. By God you will watch Lizzie Bennett fight the living and you'll like it, America. The Hollywood Reporter says the adaptation, mired for so long in development hell, is really happening this time. Lily James (Rose from Downton Abbey) is set to play Miss Bennett; Sam Riley will be her Mr. Darcy. So who's Matt Smith playing, then? Not Bingley. Not Wickham. He'll be appearing as the hilariously obnoxious, toadying Mr. Collins, famous for delivering one of the worst marriage proposals in the history of English literature. Which is a genius piece of casting. He'll appear for approximately 15 minutes total and walk off with the whole movie. Sadly, we'll probably never get a version of Persuasion starring Christopher Eccleston.